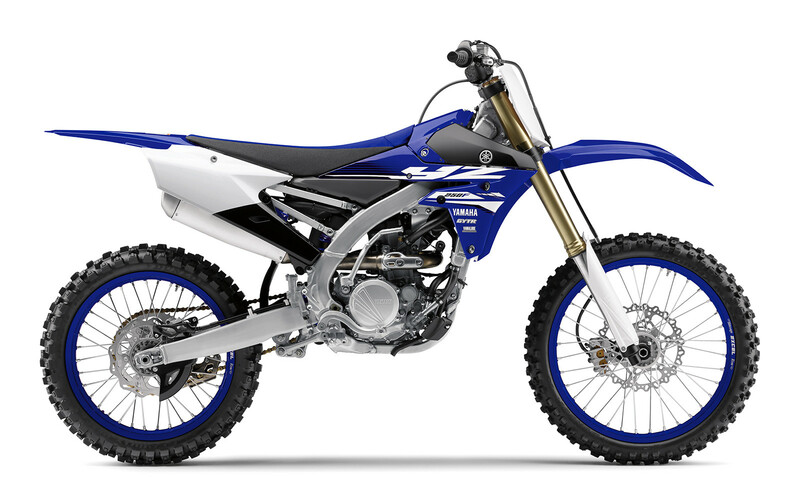 Bring on an all-new YZ450, and refinements for the rest of the lineup. Ah yes, can you catch a whiff of the new bike smell? 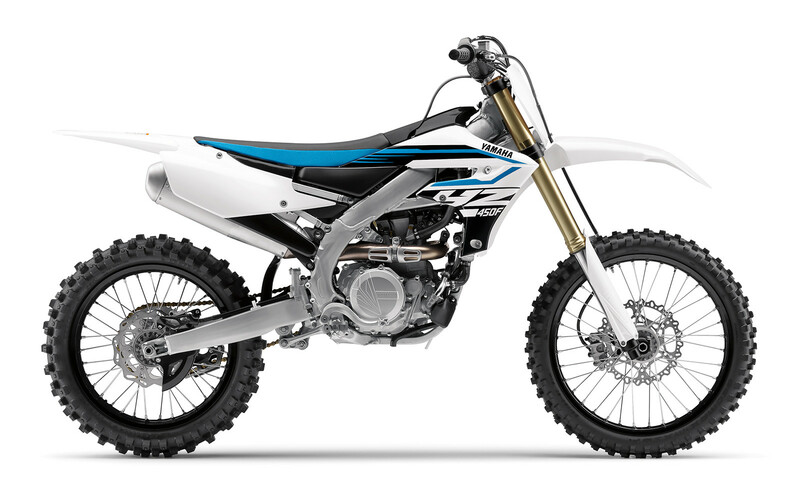 Yamaha is bringing some big changes to the '18 YZ450F, with a new engine, chassis, bodywork, and yep...electric start. There's also a new Power Tuner app, that allows you to tune your bike via wifi. Also, fans of spring forks will rejoice that Yamaha is sticking with that technology. The other models in the lineup mostly get refinements, but you can check out all the photos and details below. Yamaha breaks new ground with the new Power Tuner app, putting the flexibility and precision tunability of the GYTR Power Tuner into your smartphone. Make fueling and ignition timing changes instantly and upload them to the bike via the onboard WiFi system for the ultimate in track-side tuning. For 2018, the distinct rearward-slanted cylinder design –complete with rear exhaust and forward-mounted intake system–has been completely updated for 2018. The all-new cylinder head is lighter and is now angled more vertically, to work with the updated frame, for optimized front weight distribution. Inside, the engine features a longer, straighter intake tract, more aggressive cam profiles, a new crankshaft, a stronger, higher-compression “box bridge” piston design with DLC-coated piston pin, and more. Together, these updates give the rider an ideal balance of open-class power with exceptional controllability. Breaking new ground in the industry –again –Yamaha introduces the new Power Tuner app, which brings the power of the GYTR Power Tuner to your iOS® or Android® device. Using WiFi to connect to the bike’s onboard CAN-bus network, the app allows owners to adjust air/fuel mixture and ignition timing maps to tune engine performance for track conditions, record race log information, and monitor a range of data such as maintenance and system diagnosis, engine run time, and more. 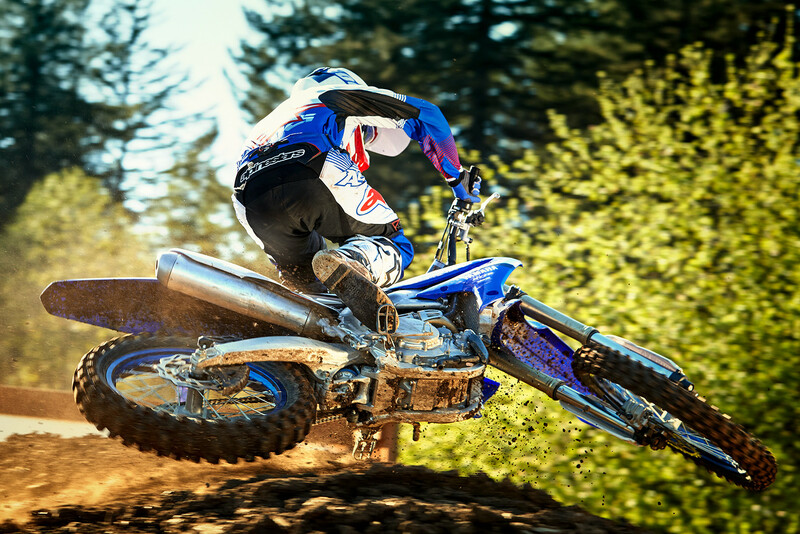 Yamaha’s renowned bilateral beam aluminum frame features compact overall dimensions that balance minimal weight with the strength and rigidity needed for race-winning performance. This frame features a forged section at the swingarm pivot and engine mounting brackets for tuned responsiveness, handling and unmatched lightweight feeling. 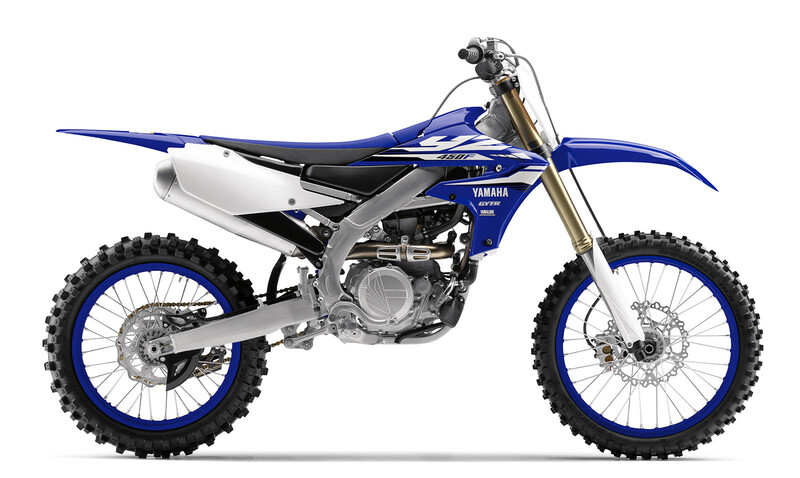 Just a slap in the face for us two stroke guys... C'mon Yamaha! If I had to guess, that's some Photoshop work, rather than a "natural" blue color. On Coop's and Reed's bikes this year? They've looked much better than that.